Chelsea Defends Daughter Aubree From The Critics. Thrashes Fans!!! 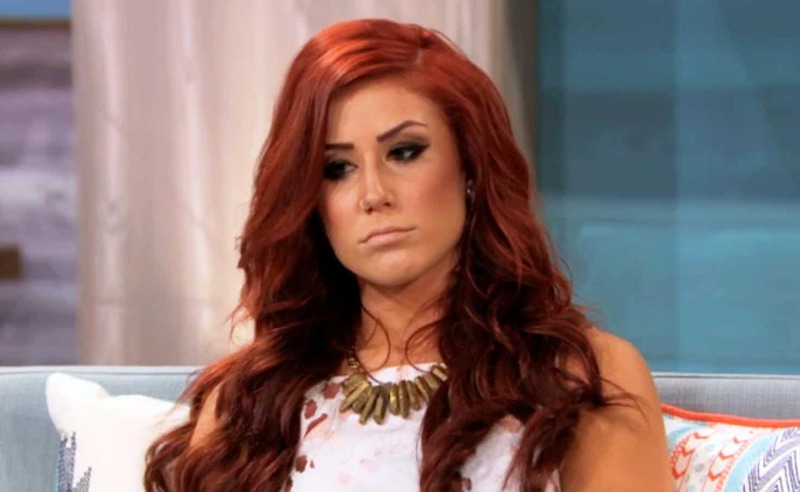 Chelsea Houska, who is having a loving marriage with two children, has stood out of the Teen mom 2 for lacking a controversy or a new drama. Recently, she was criticized by one of her fans towards the treatment she was giving to her daughters. Eventually, she didn't hesitate to give a fiery response. Find out how she shut down the criticisms. She doesn’t easily lose her calm! Chelsea, who is known for her calm and composed behavior, was spotted exchanging fiery replies in response to the accusations labeled on her by the fans. She is married to Cole DeBoer. They are raising their son, Watson, and her daughter, Aubree from her baby dad Adam Lind. Did Chelsea outgrow the Teen Mom show? In reference to her good going life, the fans have criticized her for acting fake and pretending that everything is good. “I think that Chelsea is ready to step away from the cameras. I feel her scenes are very choreographed and precise. She wants everyone to think her life is great and her life is probably near-perfect and we surely aren’t going to see any cracks on her MTV scenes. I feel that some of the other girls show a more realistic life. She has outgrown the show and should go live her life without cameras,” wrote one of the Reddit users. Is her life always been this good? Her life has not always been this good. She faced a lot of trouble while being with Adam Lind. The couple is no longer together, which proved to be a blessing for her. His struggle with the drugs and alcohol not only troubled Chelsea, but also his second wife, Taylor Halbur. Does Chelsea allow him to meet their daughter? Fans were surprised after spotting him with Aubree! Fans were quite surprised after they spotted Adam with Aubree – and were quick to inform Aubree’s presence with her father. After Chelsea took a note of what is happening, she tweeted, “The agreement states he’s allowed to attend one school lunch a week if he chooses and to attend events such as concerts etc. I appreciate you guys looking out for me and my girly though.” She also clarified that this was the first time Adam had gone to a school lunch with his daughter. Cole has always been up in her tough times! After suffering so much, Cole has always been up for her. No wonder why their love life has been so good. It was even found that he supported her in the custody battle. Chelsea was questioned for fake behavior onscreen!